Stop PRISM (surveillance program). All email traffic is transferred through an SSL encrypted connection. Protect your privacy, hide your IP address and identity. We do not log your IP. All emails and SMS are encrypted. We can't report anything to foreign governments this includes the US and European Union governments. Send anonymous Email and SMS. You can spoof the SMS sender number and many more. Click here to sign-up! Here you can find current information and announcements regarding our service. Please use our Ticket System to contact us. This is not only a slogan it is the fact. We do not logging your IP address and we are not cooperating with Governments or Lawyers or with Third Parties. We need money to run our service. We need to pay the servers. We need to pay the admins. We need to pay our support. We need to pay the coders. We need to pay the domains. We need to pay our lawyers. Thats are the reasons why we can not offer a free service. If you want to pay via Bitcoins please contact us after the order and provide us your ordered NoDNS email address. We accept Paysafecard as payment method. You can choose Paysafecard and add the Paysafecard PIN Code. We accept 50 EUR and 100 EUR Paysafecard. If you have questions please contact our support. Thank you. Join the 500 MB plan and get 2 Anonymous SMS Monthly for FREE so you have yeary 24 FREE SMS. Join the 5GB plan and get 5 Anonymous SMS Monthly for FREE so you have yeary 60 FREE SMS. SMS Spoofing allows you to change the name or number text messages appear to come from. You can change the Senders ID to a name or mobile/phone number. We've add a new data base server in Turkey. The RAID synchronization will need 4 up to 8 hours. It's possible that the main website works slowly in the next hours. We have fix this issue with duplicate emails. Stop PRISM (surveillance program) and join the VIP mail service. All email traffic is transferred through an SSL encrypted connection. Protect your privacy, hide your IP address and identity. We have to many incoming emails we have now disabled all free accounts. If you want a free account please contact us. We can upgrade your account to a VIP plan. We have 3 VIP plans from 50 MB space up to 5.000 MB. The prices starts from 24 Euro yearly. If you want an upgrade please contact us. We've add a new server the RAID synchronization will need 5 hours. It's possible that the main website works slowly in the next 5 hours. Sorry. We've changed the Motherboard on the Storage Server #3. The total downtime was 25 minutes. Please pardon the inconvenience. Free accounts are available for a limited time. Join now for free! 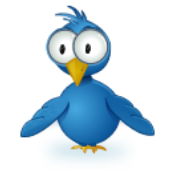 The MediaOn Staff will upgrade your account to a 50MB VIP account - For Free! Please click on the top on Sign Up to join our NoDNS familiy. Accepted payment method is PayPal. We do not store the PayPal email address. We do not store any PayPal informations. We see after the PayPal transaction only your NoDNS User ID. The smallest plan starts with only 24 EUR per year. You do not order only an email address. You can create Email Aliases, that mean that you can create for free new email address to send and receive emails. The smallest package the 50MB plan has 5 Email Aliases. After joining this plan you can create 5 new email address. So you get for 24 EUR yearly 6 total email addresses from us. The 500MB has 10 Email Aliases and the 5GB plan 50! POP3 Accounts, you can add your own POP3 accounts and you will see the downloaded emails from your private email addresses in your account. That's a great feature. On the 5GB plan you can add 9 POP3 accounts to manage your emails. Mobile Login form. You can join the NoDNS accounts from you mobile phone. 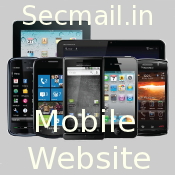 The mobile webmailer was optimized for mobile phones. All servers are located in Turkey. All plans are free of ads. After your login you need to click on the top on Settings and in the right menu Account Upgrade. You get more features and more email space, more web disc space, IMAP and many more. The yearly price for the VIP Accounts begin at 24 EUR yearly. Make a Free SignUp and test our Services. If you are happy with our services you can start a Upgrade and pay by PayPal. How to can I pay anonymously in PayPal ? Login into your PayPal account. Add the free NoDNS email address in your PayPal account. After this step choose this new email address as the main PayPal email address. Now you can start the Upgrade process. After the payment we will see the NoDNS email address as the sender. The Upgrade process do not forward your registered postal address in PayPal. We will only see your email address NOT your registered postal address. After the payment you can delete the NoDNS email address from your PayPal account. It has to be said: We do not store the PayPal email address. We do not store any PayPal informations. We see only your email address and the crypt-ed User ID. We've installed a new MailEncryption software. All emails are crypted with a 4096 bit masterkey. The primary key is your login password. Nobody and no admin from our team can read your emails. We've fixed the mobile cookie problem. Thanks Victor to reporting the issue. After you Upgrade to a VIP account we need max 48 hours to set your account from Free Status to the VIP Status. If you want a upgrade please login in the free acount and click on Settings, then Upgrade Account. We've setup 2 storage servers. Now we have a total space of 12 TB for the emails. Many thanks to the support of www.mediaon.com to give us a great discount. Wish you all a very Happy Eid ! You can import your private and public certificates to encrypt the emails. Happy encrypting! After you Upgrade to a VIP account we need max 24 hours to set your account from Free Status to the VIP Status. If you want a upgrade please click on Settings and then Upgrade Account. The reason for this message is that your SecMail account is full. You need a upgrade the free account to a VIP account or you need to delete some emails. On the free account you have only 1 MB mail space. Please upgrade your mail account to get more mail spaces. The VIP mail plans begins with 24 EUR yearly. You can pay by PayPal and we do not save any PayPal informations. We do not log any IP addresses and our system do not send your real IP address in the mail header. Join our service for free and test us. All servers are located in Izmir/Turkey.